Srinagar, Feb 8: Irshad Rasool Kar, former PDP district president of Baramulla in Jammu and Kashmir, Friday joined the National Conference in presence of party president Farooq Abdullah at his residence here. 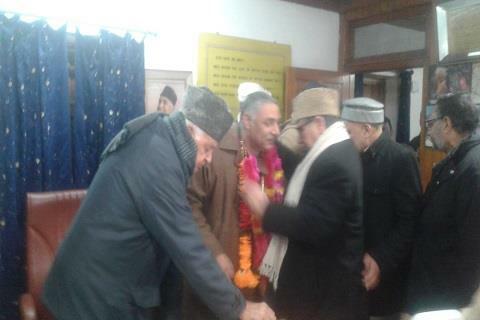 NC vice president Omar Abdullah and other senior leaders were also present to welcome Kar into the party. Kar, son of Congress stalwart late Ghulam Rasool Kar, had unsuccessfully contested the 2014 Assembly elections as an independent candidate from the Sopore constituency in Baramulla district after he was denied ticket by the Congress. He joined the PDP in June 2015 but resigned from the party on Thursday.